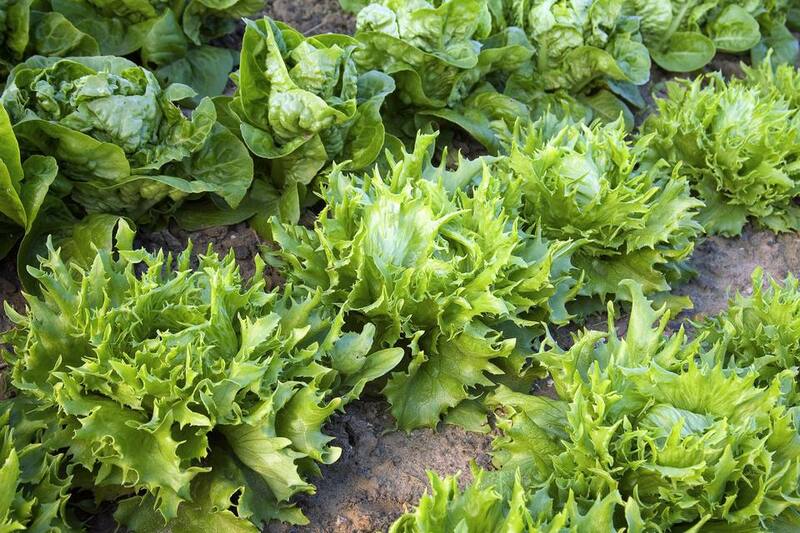 Lettuce crops (Lactuca sativa) has been moving from the boring side salad to an ingredient to be selected and savored. There are hundreds of varieties of lettuce you can grow and most salad greens are high in mineral, vitamin, and fiber content. As its subtle differences in flavor and texture are discovered, lettuce’s popularity keeps growing. Lettuce is one of the only vegetables that is always eaten fresh. You simply cannot beat the flavor of freshly picked salad greens. Nothing at the grocery store even comes close. Despite the wide variety of lettuces available, most are not grown commercially in quantity. Since lettuce is best freshly picked, it does not travel or store well. Besides, no store could possibly stock the number of lettuce varieties available to a gardener. Lettuce is so easy to grow, it often gets taken for granted. With cut and come again varieties, you get a big yield from a small amount of effort and seeds. It is much cheaper to grow your own lettuce, especially the specialty varieties, than the premium prices groceries charge for “gourmet” greens. Lettuce is a cool season crop and is best grown in either spring or fall when temperatures do not go to extremes. However, even though lettuce likes to grow during cool, damp days, lettuce seed germinates best in temperature around 70 degrees F. This means you should start early spring plantings in the garden with seedlings, rather than seed. If lettuce seed is put in the ground while it is still cold and wet, the seed will simply rot. You can always start seed indoors and then transplant the seedlings when all danger of frost has passed. Lettuce seeds need light to germinate, so barely cover the seed with soil and keep it moist. Lettuce is a quick grower. It is ready to transplant when several sets of leaves have developed. Don’t let the seedlings get too large before planting them out, or they will bolt to seed the first chance they get. Lettuce likes a soil rich in organic matter, such as compost or composted manure. This is one crop where extra nitrogen can't hurt since all you want from the plant is the leaf. Amend your soil before planting and side dress again mid-season. Even more than rich soil, salad greens need regular water. If the plants are allowed to remain dry for prolonged periods, especially in warm temperatures, they will turn bitter, the leaves may get sun scorched, and the plants will eventually go to seed. However, don't keep the area persistently damp or use mulch or you will be inviting slugs. Lettuce is ideal for succession planting because it matures rapidly, can be planted quite closely. Choosing seasonal varieties will make it easier to keep the succession going. Lettuce can even be grown in containers or used as a decorative border. Just be aware that some animals love lettuce as much as we do. You can harvest cut and come again types as soon as the outer leaves reach about 6 inches long. If you are growing head lettuce, be sure to harvest before the head starts to elongate. That means it's ready to bolt and the flavor will suffer. And be forewarned, maturing to a head takes time and therefore makes it more difficult to grow without bolting than the loose leaf varieties. For the longest harvest, direct seed or transplant every 7-10 days. When direct seeding, seeds can either be broadcast and planted in wide rows or spaced 8 to 12 inches apart. Spacing is best if you want it to mature into heads. CRISPHEAD, which forms a firm head with a crisp texture and distinct veins. Iceberg is the most commonly grown commercial variety. Ithaca - A good choice for fall crops. Heat can cause the heads to be looser, but resistant to bolting. BUTTERHEAD also forms a head but the texture is more soft and pliable with less distinct veins. LOOSELEAF - Forms a kind of bunch instead of a head. Looseleaf lettuce resprouts from a cut stem without losing quality in flavor or texture. COS or ROMAINE - An upright plant with long narrow leaves that look corse but are actually quite tender.